Sounds of the Mountains is a fully licensed, non-profit community radio station covering the Snowy Valleys and Cootamundra-Gundagai Regional Council areas. The station operates 24 hours a day and is staffed by a combination of paid and volunteer locals. The station’s volunteers make up over 70% of the team at Sounds of the Mountains and through their invaluable assistance the station operates 24 hours a day. Training courses happen regularly and involve local volunteers. For more details on training programs contact the station. The radio station is the locally recognised electronic medium for the immediate dissemination and distribution of emergency information. This role covers everything from bushfire alerts, snow-affected highways and roads to floods and severe thunderstorm warnings. Along these lines, the station has the proven reputation of broadcasting live from the studios or the location of the emergency 24 hours a day in case of an emergency event, such as a bushfire threatening life and property around the South West Slopes/Riverina Highlands region. The station provides a continuous and well supported service of announcing upcoming community events and lost & found items as well as providing a valuable forum for the local schools, churches, local interest groups, local community and local government groups and organisations to broadcast regular news and information. Frequent and relevant local and nationally-focused interviews are also a major part of the daily programming of the station. Sounds of the Mountains history dates back to 2001 when the Tumut Shire Youth Council made a request for a community based radio station. After the possibility of a station was confirmed, the Montreal Community Theatre ‘Radio Steering Committee’ was formed. At this time David Eisenhauer joined the steering committee to coordinate the building, engineering and general compliance-based and local community-based implementation of the broadcasting services licence. A Temporary Community Broadcasting Licence was granted, Sounds of the Mountains station and studio complex was completed, and then began full time transmission on the 3rd of August 2003. A permanent broadcast licence application was submitted in June 2004 less than 10 months after the commencement of the stations operation. On the 16 October 2004, Sounds of The Mountains 2TVR was officially licensed by the then Australian Broadcasting Authority (now the Australian Communications and Media Authority) as a full time ‘general’ category community radio station. The service operates its main transmission facility from a mountain range elevation 829 metres close to Tumut and covers almost all of the major locations and townships of the Tumut and Gundagai. We are always working on ways of improving reception to those areas which do not receive local programming. Through initial assistance from Emergency Management Australia, the station operates a fully equipped mobile studio/remote emergency broadcast unit and has back-up power available at all transmission sites throughout the region. 2TVR broadcasts continuously 24 hours a day to potentially just under 20 000 local listeners throughout its broadcasting region. It has always been the aim of the station to provide a readily accessible medium to the residents of the region so that both Tumut and Gundagai have a truly local radio station. 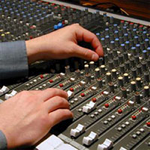 The intention is to encourage as many volunteers as possible to experience live radio in a community atmosphere and to increase the exposure of local community organisations and allow them the chance to have an input into the selection and provision of programming and activities on the air. Another major vision for the station is to continue to remain totally self sufficient. We receive no external government or grant funding and it is the aim of the station to continue to be a locally based long-term viable venture so that any surplus money can be donated back to community projects. While we are by no means the most advanced state of the art operation, the equipment we use is reliable and has proven its worth for over 16 years of continuous uninterrupted broadcasting. 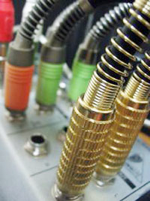 We have planned maintenance programs occurring regularly and this has proven to be an essential resource for the continued operation of the stations studio and transmitter network. We also operate our own weather station network as the Riverina Highlands has no official Government automatic weather station (AWS) and our updated data is used by some organisations across the region for their business activities at no cost to them, as the nearest AWS is either Wagga Wagga or Young.